I have always been a fan of the garden bench style that is essentially a stacked row of boards. 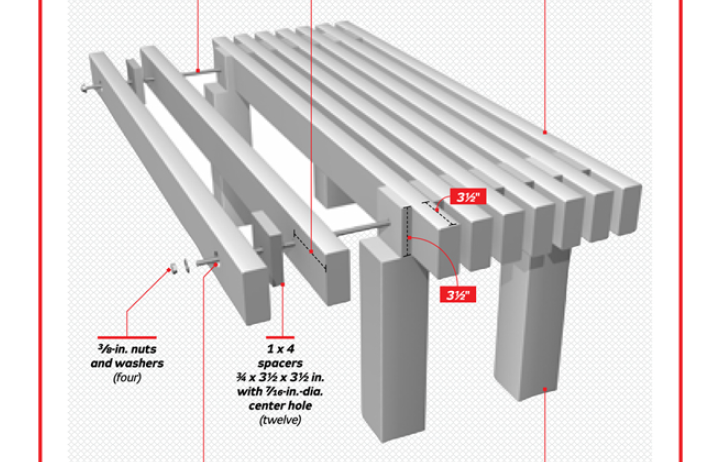 This is a nice plan from Popular Mechanics that utilizes this method along with spacers between each board. 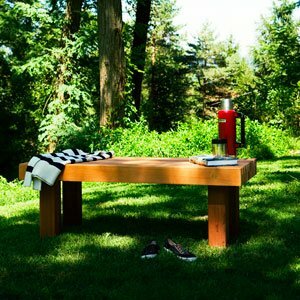 This design uses more lumber than you might need for a garden bench, but it will last many years, won’t blow away in the wind and is an easy design to pull off. If the plan link below is moved, please let us know. We will locate the PDF for download. 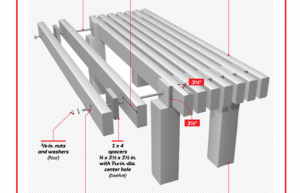 Build This Wooden Garden Bench – Step-By-Step Plans – Popular Mechanics.